Recreational vehicles come with a unique set of risks and you need to make sure that you have the proper insurance coverage. Snowmobiles, jet skis and all-terrain vehicles do not require proof of insurance and can be easily overlooked. However, if you operate these vehicles off your property, your homeowners’ insurance will not cover you in the event of an accident. Without the right insurance in place, you place your family at considerable financial risk from a lawsuit. A Ideal Insurance Agency will work with you to tailor your coverage to meet your specific needs. Make sure your assets, family and financial future are protected with the right insurance policy. Connect with an Ideal Insurance Agency expert today. 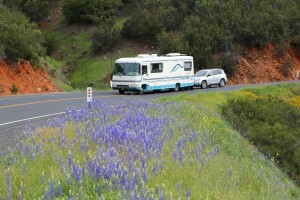 The thrill of adventure – it is what owning a recreational vehicle is all about. Whatever your interest, be it cruising on your motorcycle or exploring the road less traveled on your ATV, Ideal Insurance Agency offers advanced coverage options to meet the insurance needs of the adventurer in everyone. Whether you are an experienced outdoor enthusiast or just starting out, we have a policy to fit your needs – from RVs and boats to ATVs, Ideal Insurance Agency can ensure the safety of both you and your vehicle. Our insurance options provide you with the same service and rich features you can expect – from comprehensive and collision coverage to personal injury protection and towing costs. With Recreational Vehicle Insurance from Ideal Insurance Agency, you can continue living the dream with confidence, knowing that you, your vehicle, and your passengers are protected. Contact one of our representatives today to find a package that works best for you. Ideal Insurance Agency provides Recreational Vehicle Insurance to adventurers near Hopkins, Minneapolis, ST Paul, Minnetonka, Edina, and Eden Prairie.